Yesterday we started our tour of Charlie Sheen’s one-man show tour route. Amazingly, he’s sold out in every city he decides is worthy of My Violent Torpedo of Truth: Defeat is Not an Option and hasn’t looked back. Of course, any city that has people with burning pockets is a city Charlie is willing to bestow his knowledge in, so it’s not really a selective process. Do you have tickets to one of these potentially awesome and inspiring shows? If you were fast enough to hit the buy button within the first minute or so, you are among a chosen few. You will have to share with the rest of us what, exactly, Sheen can be talking about for 80 minutes that we haven’t already heard. Is he still “winning every day”? With the payout he’s getting from these shows, even if he’s a total screwball, I tend to think the answer must be yes. 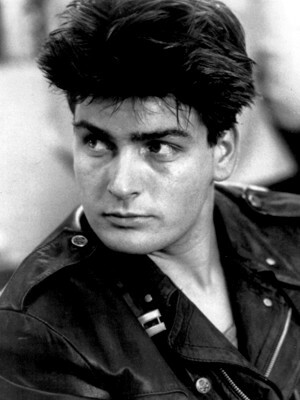 Packing your bags and hitting the road to follow Charlie Sheen’s ego? I’m honestly jealous of you, but I’m still going to go ahead and help you save on the rest of your visit to cities graced with Charlie’s presence, because I’m cool like that and I like you guys. There are 15 cities confirmed so far. Wednesday we covered the first 5, today we cover 6-10. Wallingford, Connecticut – Never heard of Wallingford? You’re probably not alone and I bet the trees will be beautiful and green by the time you make it there to see Charlie “perform”. · Celebrate those who gave their lives for our country with the many memorials that Wallingford has to offer: With the Wallingford Soldiers Monument, Vietnam Veterans Monument, Korean War Monument, Revolutionary War Monument and more, you can thank everyone personally within a short drive. · Nehemiah Royce Museum – Step back in time with this amazing American Colonial Saltbox home that was once visited by George Washington. · Barker Animation Art Gallery – For the less adult of you who love cartoons and animated films, visit the Barker Animation art gallery in Cheshire. Art from artists who worked on Warner Bros, Disney, Hanna Barbera and 20th Century Fox are featured. Since I wasn’t able to find an admission fee online anywhere and they sell what they have on display, I’m going to go ahead and assume it’s free to get in. If I’m wrong, feel free to send me an email to yell. Boston, Massachusetts – Clam Chowda’ anyone? Seriously, if you want fresh seafood, Boston is the place to be. Find super fresh shellfish everywhere you look. Not your bag? Well, check out my previous post that gives you ideas on what to do in this lovely city. Seattle, Washington – The Emerald City that is the home to grunge rock and Starbucks has some pretty cool stuff to do. 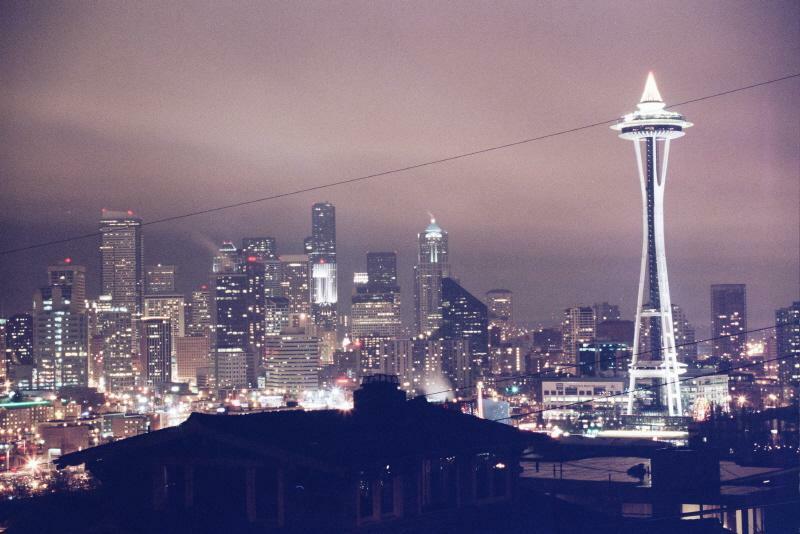 Check out my last blog post on Seattle HERE. Don’t forget to get yourself a CityPASS, too. Vancouver, B.C. – Our neighbors to the north are not to be forgotten, plus they have money to burn, too, so why not visit Vancouver, British Columbia. Granville Island: Who says no to free entertainment? Not me! After spending $80+ on a single event ticket to see Charlie ramble on, free is a good thing. 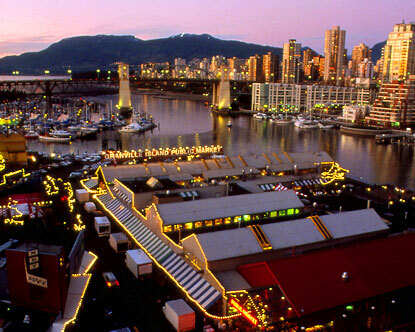 Take the aquabus or ferry to Granville Island and enjoy 37 acres of unique shops, restaurants, artists and more. Stanley Park: On 1,000 acres, Stanley Park offers indoor and outdoor activities, wither you want to pet animals, play golf, go hiking or running, check out new restaurants or visit the Vancouver Aquarium, there is something for you. You can even swim there! The Aquarium charges $23.50 per person for admission. BC Film Commission: Watch a movie being filmed. If you’re lucky, your trip will coincide with a filming. It’s always free, though you will have to have patience as these things can take a long time to set up. 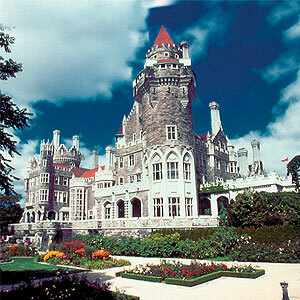 Ontario, Canada – One of the stops on the tour that appeals to budget travelers is Ontario/Toronto. The city is beautiful and has a fantastic waterfront view. Grab a Toronto CityPASS and save 45% off top attractions like Royal Ontario Museum, Toronto Zoo and Casa Loma, which is an awesome castle estate built by Sir Henry Mill Pellatt. Enjoy Lake Ontario for free and get in some sunbathing and swimming. Kensington Market: Shop local fruit, thrift stores and eat in quaint pubs while watching people and taking in some free music and entertainment at the weekend. Save some bucks and pack a picnic lunch to enjoy on Toronto Islands. Make sure to wear your walking shoes and pack a swimsuit, because you can go hiking and enjoy the beach or go kayaking. Come back on Saturday for a continuation of our roadie tour for Charlie Sheen when we look at the last 5 guaranteed stops on the route. Want to know what you’re waiting for? How about Washington, D.C., Atlantic City, Atlanta, Denver and San Francisco? (Again, with my gadget that's not a gadget.) With so many options to go swimming, you might want to be ready with a new swimsuit. Sears has a great sale on reversible swimsuits by Joe Boxer and other designers. In fact, I got a cute tankini with reversible bottoms just last week for my upcoming trip later this year. It’ll hide some of the areas I don’t feel confident about, it’s got fun colors and for another look, I can turn my shorts inside out. You can also find swim trunks that reverse and bikini/tankini tops, too. Make sure if you buy online to purchase through Ebates to get your cash back! It’s like free money in your pocket. And with double cash back this week on many clothing stores, your spring travel just got more fun…and it’s a good reason to spruce up your wardrobe. I cannot believe Charlie Sheen is going on tour!! He really jumped on the crazy bus, eh?